Despite an increasing awareness of the many heath hazard associated with traditional cigarettes, according to statistics approximately 6 million UK. adults still smoke. It was reported by the 2014 UK General Report and 2014 Cancer Facts & Figures that in the UK., using tobacco is responsible for almost 1 in 5 deaths; that is the equivalent to around 240,000 early deaths every year. In addition, cigarette smoking has been linked to nearly every cancer that is known. Therefore, it is still safe to assume based on these obvious facts that a majority of people smoke due to addiction instead of choice. The first thing that comes to mind is e-cigarettes. Although health experts are still debating the assumption that e-cigarettes are the ideal replacement for traditional cigarettes, there are still some amazing benefits provided by electronic cigarettes that are less debatable particularly when they are compared to traditional cigarettes directly. Over the years, nicotine addiction has been proven to be deadly to the extent that using nicotine in considered to be a crime still in some countries such as Australia. More individuals have failed in quitting the smoking habit compared to those who have been successful and among the many smokers who have stopped, many of them have relapsed. Nicotine withdrawal symptoms are frequently strong and may cause individuals to relapse frequently. However, these symptoms may be softened with e-cigarettes. It is a process of literally leaning yourself off of nicotine addiction through combating the physical addiction to your nicotine drug addiction simultaneously. A majority of addicted smokers who are willing to switch opt for the highest nicotine strength level of e-cigarettes that they possibly can. This is a normal approach to take since a drastic drop affects the body in a very similar way to suddenly quitting. However, gradually reducing the strength of nicotine will help your body gradually readjust until it doesn’t require nicotine any more in order to function. The process also can be followed by reducing your eliquid strength and can help you wean your nicotine addiction so that you can completely stop smoking. You can vape e-cigarettes anywhere. That can include hotels, offices, restaurants, or public places where you cannot smoke traditional cigarettes. You don’t have to avoid all of the no-smoking areas or lock yourself up somewhere to smoke. 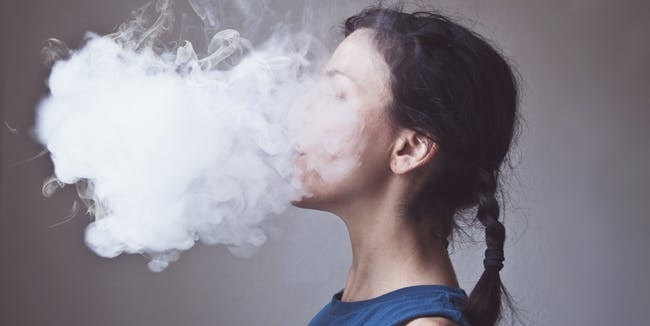 You can vape e-cigs at anytime and anywhere without fears of complaints, arrest, or harassment since they are completely smokeless and only produce vapours. A majority of people – particularly non-smokers – agree that traditional cigarette aromas are irritating and offensive. However, with smokeless devices, vapours can freely and confidently vape without inconveniencing other people. For certain reasons, there are some smokers that don’t allow the public – including relatives and friends – know that they smoke. Whereas traditional cigarettes leaves an offensive smell on your tie, hair, or shirt, there is no lingering aroma left by e-cigs after you vape. Vapours may be as discreet as they like so that they can maintain and protect their reputation while avoiding smelling just like an ash tray or having offensive breath. Users receive pleasure from cigarettes. However, in most cases, it has been proven that this pleasure is lethal. E-cigs provide a different type of pleasure. E-liquids are available in various flavours, including strawberry, vanilla, cherry, and more. These various flavours provides the vapour with a safer and more intense feeling of pleasure while you vape. You just need to make the best choice in e-cigarette for you and select the e-liquid that you prefer. When the vapour is inhaled is has a tendency to be appetizing and nourishing, and leaves a tasty sweet and fruity smell behind. Unlike traditional cigarettes, that give off smoke that has an offensive smell to it.